The aim of education is employability. Enabling all students of Rizvi College of Education to acquire employability skills, plan and manage their careers for their personal growth and also to contribute to the society at large, is the work and responsibility of the Placement Cell. The Placement cell is an integral part of the college activities. The main responsibility of the cell is to place the right candidate at the right organization. The cell identifies the qualities, preferences, talents and traits of the student teachers which help during the time of placement. The Placement cell helps the students to enhance their softskills, grooms and prepares the students for interviews and demo lessons. Along with this, the cell also identifies suitable potential employers/institutes and helps them achieve their hiring goals. The cell organizes activities concerning career planning and acts as a bridge between students, alumni and employers. Placement cell of Rizvi College of Education organised a session on portfolio designing and development on 9th December for their S.Y.B.Ed Students. The session covered the importance of having a portfolio, its proper format, its content writeup and basic documentation. e-Portfolio making was also be taught in this session. 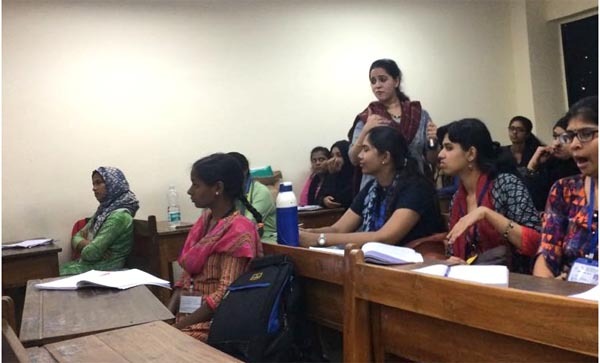 The session was conducted by Mrs. Pooja Manghirmalani-Mishra, In-charge of Placement Cell and an expert in this domain. 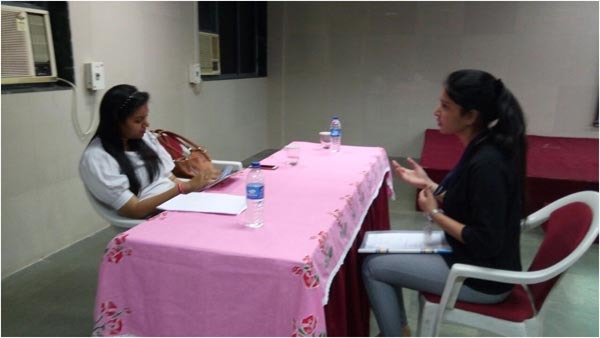 Placement cell of RCOED conducted a Mock Interviews for their S.Y.B.Ed. students as a part of preparations of their upcoming placement drive. 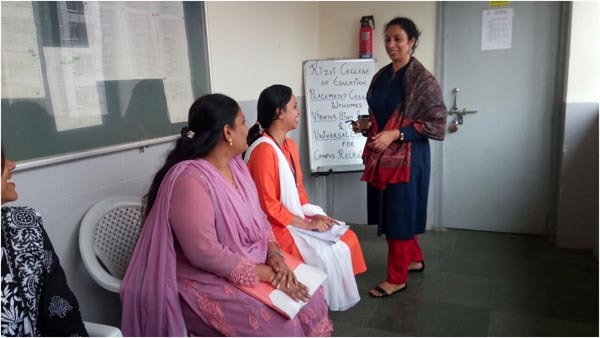 Mrs. Spoty and Mrs. Pooja, in-charges of Placement Cell conducted several preparatory sessions to prepare the student-teachers as a precursor to prepared them w.r.t. to several aspects of the placement. Student-Teachers were prepared pertaining to general Knowledge test, Personality evaluation, Content and Pedagogical Knowledge, their CV and their Communication Skills. Placement cell also evaluated the student-teachers on Teacher Efficacy by giving them situations to know their responses. 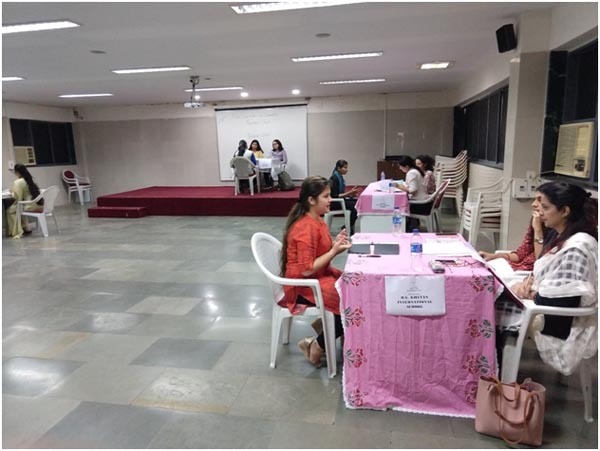 Four panels were made by faculties of RCOED to conduct the interviews. At the end of the interviews, a report on their performance, corrected CV and scoring was handed to each student teacher along with a feed back. All student-teachers put their sincere efforts for the Mock Interviews and are a little more confident and well prepared for the Placement Drive scheduled from 26-28th February 2018. 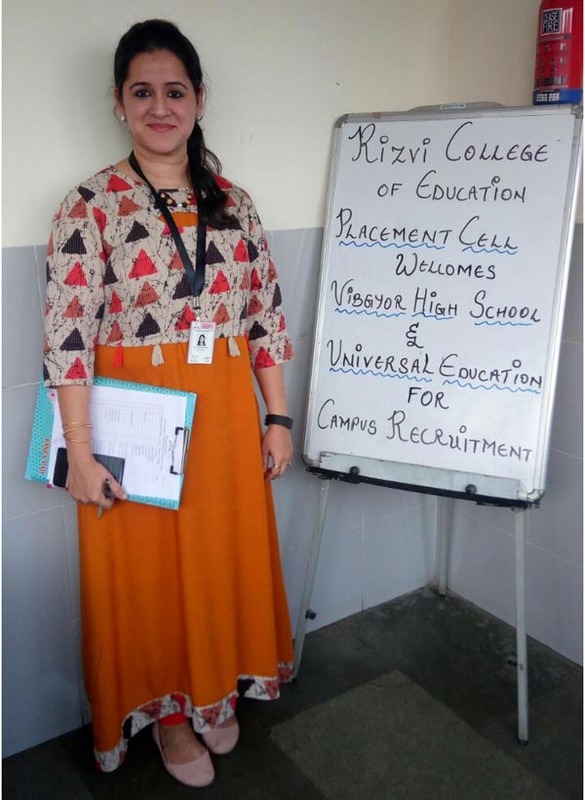 Rizvi College of Education conducted a four-day Placement Drive on 25th Jan 2018, 26th Feb to 28th Feb 2018. 35 Schools and Colleges were a part of this drive. During the placement drive, majority of the 2016-2018 batch B.Ed. Students got placed. 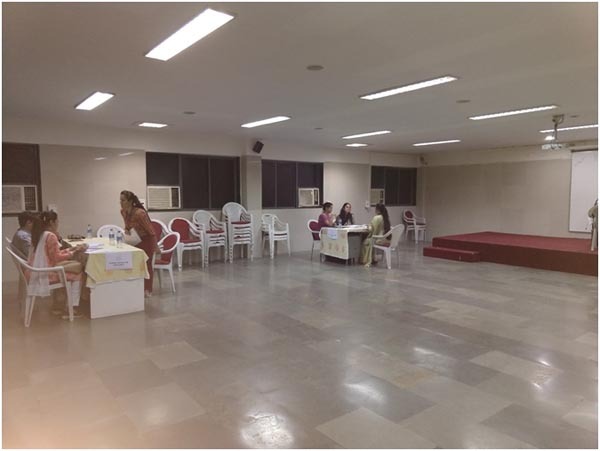 The drive was organised by the placement Coordinators Ms. Pooja M and Ms. Spoty K. It was a huge success. Students are very confident and have a good command over English language. As Vibgyor High is coming to RCOED since several years for placements, we are seeing a constant elevation in the skills and presentations of the student-teachers of RCOED. Student teachers of RCOED are very through with their communication skills. However, a little more preparation with their content is needed. Like each year, this time also we wish to recruit a few teachers of the present batch of RCOED. This is for the first time Universal Group of Schools and Colleges has come to RCOED for placements. We are very happy to select a lot of these bright student teachers. Their content knowledge, presentation, communication skills and overall preparation for the interviews is up to the mark. Following are the institutes which proudly associate themselves with the Rizvi College of Education for placements.